You might also want to check out our Bionic Woman page! Thie Six Million Dollar Man TV show was a 60 minute sci-fi series on ABC about a NASA astronaut who was hurt badly during a lunar lander test. Fortunately, there was a secret project that had developed replacements for human body parts! His right arm and both of his legs were injured beyond repair so they were replaced with lifelike-looking mechanical parts. He left eye was also replaced! His new legs allowed him to jump to fantastic heights and run at amazing speed. His mechanical arm could rip things apart or throw a bad guy a block away! His eye could see minute details from afar! As a part of the deal for his "being rebuilt", he had to fight U.S. enemies for the U.S. government. After all, his parts cost six million dollars! He was a good guy so he was happy for the opportunity to help. "Steve Austin, astronaut, a man barely alive. Gentlemen, we can rebuild him, we have the technology. We have the capability to make the worlds first Bionic Man. The Six Million Dollar Man TV show was inspired by the 1971 novel, "Cyborg", written by Martin Caidin. Martin had been a NASA public relations man and airforce pilot. The Six Million Dollar Man and The Bionic Woman weren't the only bionic characters seen on their two shows. During the final seasxon of the Bionic Woman we got to meet "Maximillion" (typically called "Max"), a German Shepherd who had received bionic legs that let him run 90 miles per hour and a bionic jaw that he once used to grab an out of control car by its rear bumper and brought it safely to a halt! There was also a "Seven Million Dollar Man" that was used to assist Steve Austin on especially dangerous or difficult assignments. He ultimately went crazy and turned evil and had to be stopped by Steve! There was even a "Bionic Boy" who received bionic legs to replace the ones that were paralyzed. Colonel Steve Austin worked for a govenmental agency called the "Office of Scientific Information". When The Bionic Woman was moved from ABC to NBC Oscar Goldman (played by Richard Anderson) and Doctor Wells (played by Martin E. Brooks)", who appeared on both the Six Million Dollar Man and The Bionic Woman at that time, became the first TV characters to ever appear on multiple networks simultaneously. In the early episodes Steve Austin actually killed some evil foes. Viewers complained that Steve was a children's role model so the amount of violence was cut way back. Near the end of the series, Lee Majors grew a moustache. The audience didn't appreciate it so he shaved it off. Before the final season began shooting, Lee Majors went on strike due to a dispute over his contract. He was nearly replaced! On the two-part, "Bionic Woman" episode Lee Majors sang two songs. Their titles were, "Sweet Jamie" and "Gotta Get Loose". Lee Majors was married four times, his second marriage was to "Farrah Fawcett" ("Charlie's Angels"). At that time, Lee had starring roles on two shows simultaneously! 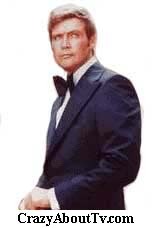 He was filming the Six Million Dollar Man pilot and the TV movies and also starring on the series, "Owen Marshall"! In 1976 he and Farrah were both stars on TV! Lee was already quite well known due to a previous popular starring role on, "The Big Valley". Farah's popularity would eventually even surpass that of Lee's, however. Nearly every young woman wanted to be like her and nearly every young man wished to possess her! Her fame was pretty much a once per generation phenomenon! In the opening credits of the Six Million Dollar Man there was an aircraft that crashed. It was an M2-F2 "flying body" that crashed on May 10, 1967 at Edwards Air Force base. When it hit the ground it was going 250 miles per hour! It rolled over six times before coming to rest. The pilot was named Bruce Peterson. He survived but lost his right eye, causing him to be grounded. He once said that he watched and liked the Six Million Dollar Man but he hated having a weekly reminder of that horrible accident! Lindsay Wagner began her career as a model but she couldn't stand it so she switched to acting. After numberous guest-starring roles on TV she landed a role in the movie, "The Paper Chase". Then she appeared as Jamie Sommers on The Six Million Dollar Man and was such a big hit in the ratings that she got the starring role on, "The Bionic Woman". Lindsay even won an Emmy for her role on "The Bionic Woman" and she's starred in almost 40 movies! She has a fellow TV star for an Aunt named "Linda Gray" who played J.R. Ewing's drunken, neglected wife on "Dallas". On "The Six Million Dollar Man", Richard Anderson worked for a fictional government agency called the "OSI". He once did an orientation video for a real-life agency which also known as the "OSI"! Richard Anderson had parts in the final episodes of two of the most popular shows on television, "The Fugitive" and "Perry Mason". 50. Welcome Home, Jaime - Part 1 (Part 2 was shown on "The Bionic Woman"
Thank you for visiting our Six Million Dollar Man page!